But Can Beauty Be Taught? Can a person teach someone else ‘what’ is beautiful? I say no. But, perhaps we can teach someone what beauty ‘is.’ This may at first glance appear to be the realm of art, music, theater, and dance, and certainly we should start there, but hopefully we begin to see parallels in other areas too. What makes a piece of art visually beautiful? What makes a particular performance of music beautiful? What makes great choreography, movement and dramatic acting beautiful? Everyone has a favorite piece of art or music or dance or film that inspires them. Most students by the age of 7 can point to certain things that they claim as beautiful, or pretty, or special. And in fact, as part of our personal development and growth, we identify with the people, places and things around us in some way and to some degree. The developing sense of ego and self make us stronger people and allow us to better interact with those around us, contributing more and more to society and culture as we mature. But identity is not what we’re after here exactly. What we’re looking for is beauty and how to teach it, if that’s even possible. Self-identification with our internal, external and eternal self. We all identify with certain thoughts, feelings, visions, imaginations, dreams, desires, hopes, fears and loves. All of these are internal or intangible. No one else can see them, hold them, taste them, experience them like I do. We also all share certain external (both interior and exterior) biology, chemistry and behaviors. On our insides (interiors) we have our organs, bones, muscles all the way down to blood chemistry, neurological pathways, synapses, and beyond to cells, molecules, and atoms. On our outsides (exteriors), we have our skin, unique facial features, hair, and voice. These are all things we can point to in physical space or find under a microscope or hear with our ears. And all these things behave in similar ways across the planet. Watch a football game on TV and notice how when people all stand up in the stands together there’s a unique set of motions that all people are going through to rise from a seated position. There’s a specific rhythm and kinesthetic motion we all share. And our bodies are constantly behaving in similar ways from eating, digesting, peeing and pooping, to running, walking, climbing and swimming. – And NONE of these things are internal, they are all external. We could even say, ‘Beauty lives within us, and not without us.’ (That’s a fun one to sit with for a moment or a day or more…..) While we point to a piece of art or piece of architecture out there, what we’re actually doing, in my opinion, is recognizing something within us. Any young child from my generation remembers this witty comeback to an insult. Beauty is like this. It takes beauty to recognize beauty. And in my experience everyone has infinite beauty within them, but learning to see it is a lesson of an entire lifetime. 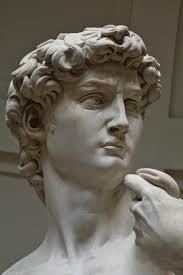 Nothing could have prepared me for the moment, in summer 2002, when I saw the Statue of David by Michelangelo in Florence, Italy. It wasn’t just that I didn’t know which room I was walking into, it was that the experience of this magnificent work of stunning beauty is beyond words, and therefore, no one could have prepared me for what I would see and experience. However, I recognized it then, and recognize it now as surely one of the single most beautiful works of humankind ever. It is transcendent, inspiring, awesome – a true wonder to behold. It is rightly regarded as beautiful by most because it is a statue of a human. —“It Takes One to Know One”— And humans have access to all three realms: Beauty, Truth, and Goodness. I recommend that you see it before you die. In all the 40 days through 7 countries, and 12 major cities, countless geographies, landscapes and ecosystems, this one moment, this one work of beauty, dwarfs all others, literally and figuratively. There are art critiques and histories galore, but what I was overtaken with was just the one word: beauty. The tenor saxophone players who make my top five are John Coltrane, Sonny Rollins, Dexter Gordon, Stan Getz and Stanley Turrentine. When John Coltrane recorded “A Love Supreme” he left a musical treasure of profound beauty. He moved past conventional musical boundaries to co-create with Jimmy Garrison, bass, McCoy Tyner, piano, and Elvin Jones, drums. Perhaps it’s his greatest album of all time. For sure he left the conventional behind for ever after. While this album pushes the boundaries of then-current limits, the music was/is still accessible to most jazz fans and probably most lovers of beautiful music. It touches on the roots of jazz: blues and spirituals and it moves through four different movements: Acknowledgment, Resolution, Pursuance, Psalm; tying it, at least loosely, with the symphonic form of Western classical music. The ‘lyrics’ of the album are a prayer Coltrane wrote. 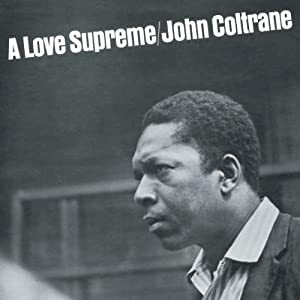 And at the beginning of the album, near the end of Acknowledgment, the band chants “a Love Supreme” 19 times before moving into Resolution, the 2nd movement. Listening to the entire album from beginning to end is highly recommended. Words cannot convey the feelings and impressions I get while listening to it. Please enjoy and share with others. Yes. Yes it can. It is taught through introspection, meditation, contemplation and reflection. It is taught every time someone asks another ‘how are you?’ In the sharing of our emotions, feelings, thoughts, dreams, imagination and entire internal world, we are drawing up from the well our internal and eternal self, bringing that beauty into the external world for another to experience. And the profound experience of sitting in nature, seeing the objective external world in all it’s ugly messy beauty can influence our internal and eternal selves as well. It is taught each time we have an awareness of the timeless and eternal within us and around us. Even a fleeting glimpse of these states of awareness has an immediate and lasting impact on the psyche and soul. And it’s this that can be taught and must be taught if our world has any chance of continued growth into further states and stages of health, wealth and happiness. In closing, the classic ‘Big Three’ of Beauty, Truth, and Goodness are all manifestations of Love. In all the philosophies, religions, spiritual paths, schools of thought and action, Love truly is the driving force underneath, behind, and surrounding all of us. Until next time……Love and Light……………. playing, practicing, persuading, or performing?